Elys Dolan | are you sitting comfortably? 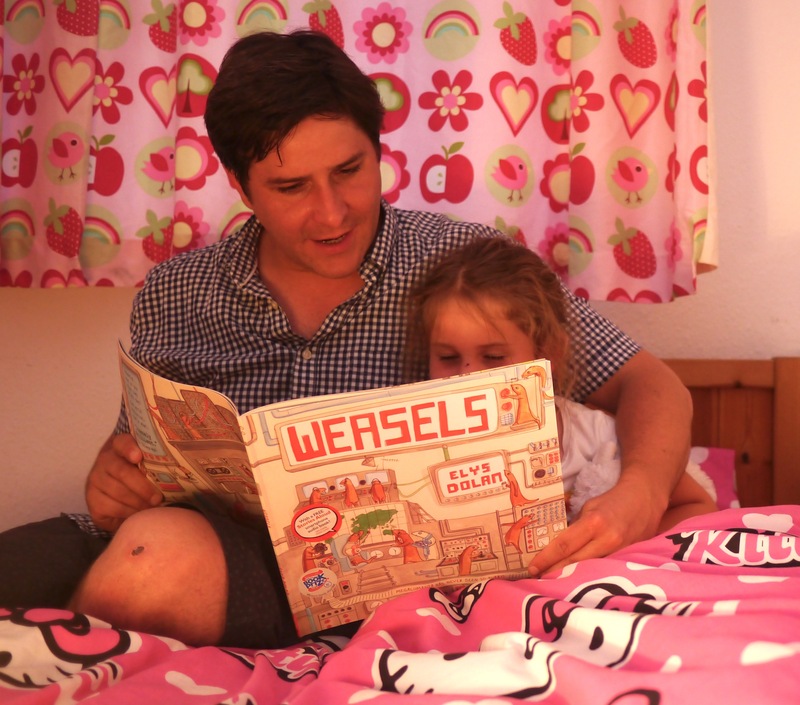 Annie and I were both very amused by the illustrations in Weasels. The animals interacting with each other over the whole page gave the book an animated feel like an 1980s platform computer game. I was the one doing most of the reading with Annie helping a bit. I found the dialogue distributed across the whole page made it hard to get a good storytelling flow going. I enjoyed some of the stuff which went over Annie’s head. 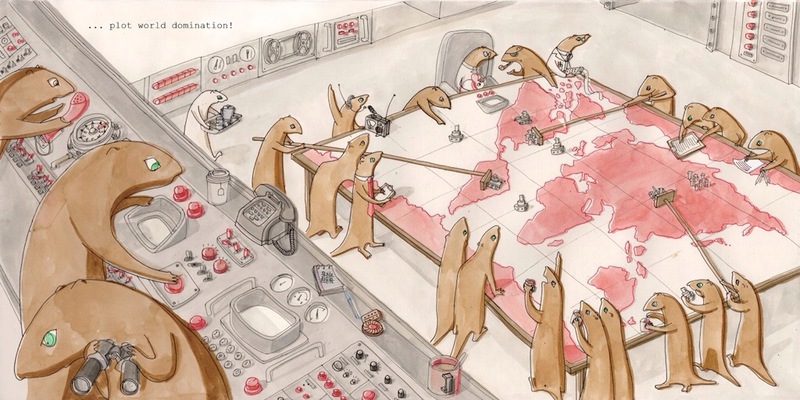 Caffeine addiction and health and safety rules seemed to suit the weasels. Annie’s favourite part was the bit where one of the weasels started transforming into a monster (‘I told you not to drink that Professor’, a colleague tells him). Weasels, by Elys Dolan, published by Nosy Crow, is available now.